Bryan and Emily met online, thanks to Bryan's thoughtful description of himself; by the end of the date, Emily knew he was the one for her. The couple eventually began to discuss marriage and Emily began the search for the perfect venue. 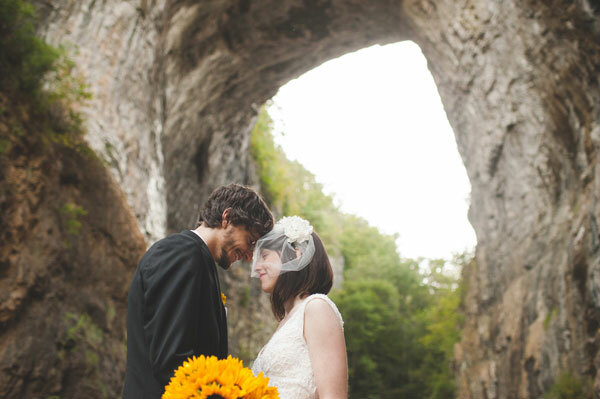 The day she and Bryan went to meet the wedding coordinator at Natural Bridge, Bryan surprised her by proposing under the bridge, sealing the deal on making it THE venue for them! 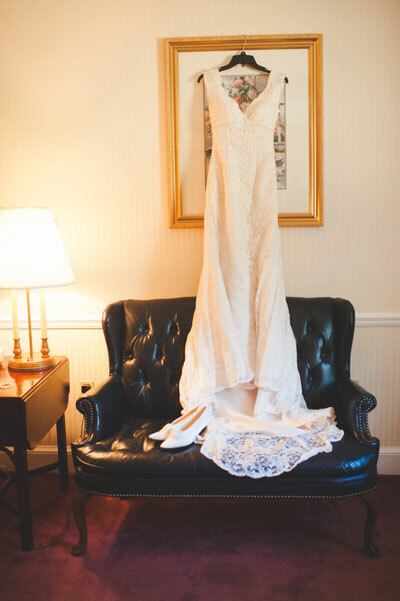 Emily says her favorite part of the wedding day was seeing the big grin on Bryan's face as she walked down the aisle. For her, nothing compared to the feeling of seeing your special person look at you with so much love. She also says the most unique aspect of their wedding was how much her family and friends contributed to the day; her mom did decorations, a family friend addressed invitations and wrote signs, a cousin was the DJ, two aunts did makeup and emceed, another friend took engagement photos, and two friends served as guitarists. It was definitely a family (and friend) affair! 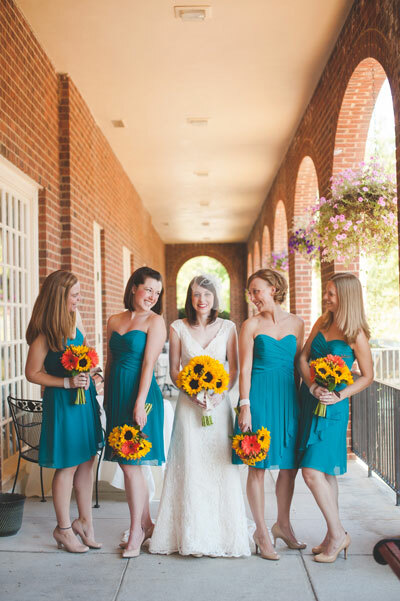 Even before any wedding details happened, Emily knew she wanted a birdcage veil and be surrounded by sunflowers. A lace champagne dress, vintage shoes from her aunt's wedding twenty years prior, and classic rock added to the vintage vibe, while burlap decorations and tablecloths, sunflower, orange gerber daisy and hydrangea centerpieces and bouquet added to the rustic feel. Dark teal bridesmaids' dresses complemented the autumn hues. Emily describes their day as "sweet" too, with the candy favor bar, the shy couple's first dance together, a speech from Emily's father that didn't leave a dry eye in the house, and her two year old nephew stealing the show in his tiny tux. The newly married couple went to Ocean Isle Beach in North Carolina to relax and have small adventures such as kayaking. Be sure to see the Hedrick wedding on page 84 of the second issue of bridebook, on newsstands now!